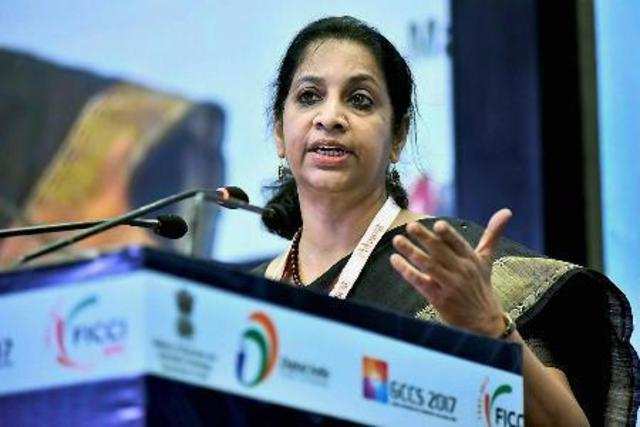 India can be an end-to-end partner to nations looking to empower citizens through affordable communications solutions and digital infrastructure, Telecom Secretary Aruna Sundararajan said today. Citing India’s prowess in software services, laying down digital infrastructure, and its design capabilities, Sundararajan said the country is keen to share technology, training expertise, and know-how with other nations that face “similar challenges”. “India is willing to share technology and the expertise in training people because we want to ensure that this is a full-fledged partnership, not a buyer-supplier arrangement,” she said addressing India Telecom 2018, an international ICT expo. The secretary noted that every country is looking to empower citizens with communications access and termed building strong telecom infrastructure a “pivotal necessity”. “India has significant capabilities, we can help handhold other countries with similar challenges,” she added.